The 30 to 40 something adults who were once teenagers during the 1990s would surely love to watch this concert. 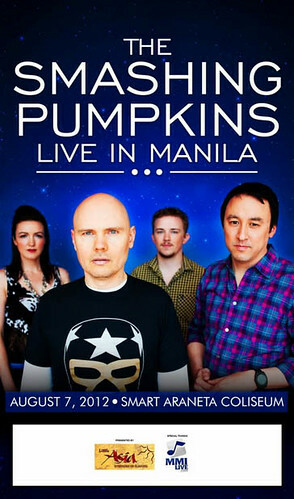 The Chicago based alternative band would hold a concert in August 7, 2012 at the Smart Araneta Coliseum. Purchase tickets online or at all SM Supermarkets nationwide.